From banker to a top notch sixth Dan taekwondo instructor, 65-year-old head coach Rolando “Master Ding” Futalan continues to intensify the inherent traits of his team as he develops them for national leagues such as the Private Schools Athletic Association National Collegiate Games (PRISAA) and the National Capital Region Athletic Association Games |(NCRAA). Instructing numerous DLSU-D players for 24 years, he already conquered several challenges in his team that proved his unfailing dedication and persistence in making new champions. As he handles another set of rookies this year, let’s take in the sights on how coach Ding prepares his greenhorns for upcoming battles, primarily in instilling discipline like a master and a father at the same time. Born on May 13, 1951 at the southernmost Irosin, Sorsogon, coach Ding changed the history of the taekwondo federation by giving honor to the country. He was chosen as the Best Referee and proclaimed as a “Jet-Setter” or a person who travels to associate in a prestigious event despite distance and time, in the International Open Taekwondo Festival in Los Angeles, California on May 30, 2015. He’s been also invited to train in different dojos within the five states of America. 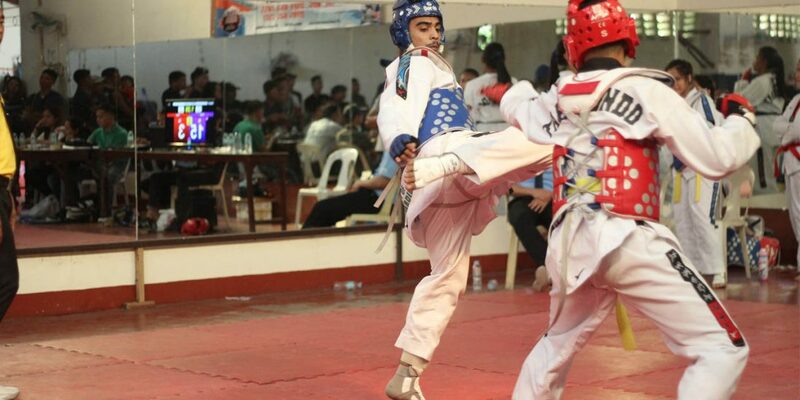 Before getting a head start in taekwondo, he was already practicing karate at the age of 14 and found his passion for the sport in 1986 when he was 35 years old. A late-bloomer, coach Ding proved that as long as there’s devotion to a chosen career, age will never be a hindrance in pursuing your passion. Apart from his coaching career, the green-and-white master graduated with a Bachelor of Science in Management degree at the Technological Institute of the Philippines. 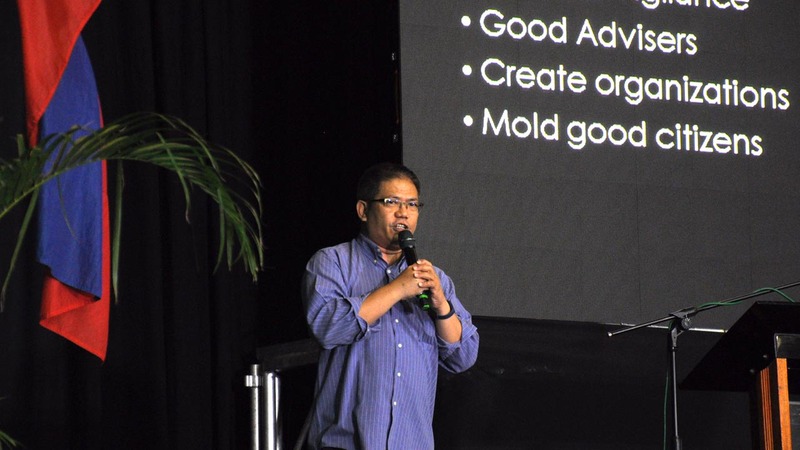 In addition, he worked in the Makati Stock Exchange as a stock assistant and a signature verifier. 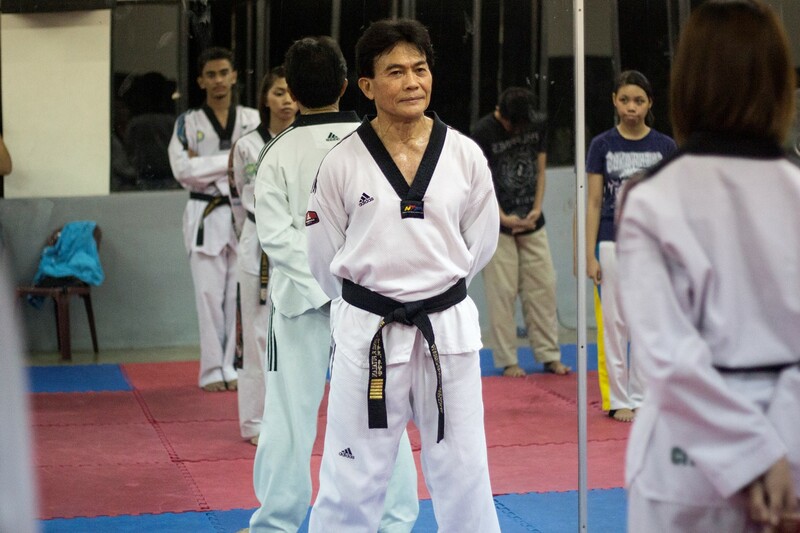 Emerging from his coaching career, coach Ding trained taekwondo teams including St. Paul College of Makati and St. Joseph School of Valenzuela, before stepping inside DLSU-D’s dojo in 1991. Taekwondo is a Korean martial art involving a lot of kicking, compared to other forms of martial arts but for coach Ding, it’s the athlete’s passion and determination that makes taekwondo different from other sports. The intrinsic power of an athlete is achieved by gaining the perfect physique, mental equilibrium, and spiritual meditation, as he said, sharing his strategy to utterly develop the jins. He molded several great players like Patriot ER-John Marquez, who nabbed numerous achievements for the University, including a gold medal in the Borneo Cup 2013. Although his team is mainly composed of rookies, unfolding their capabilities will never be a problem as he develops them with grit and perseverance. Discipline is an eminent fundamental to train his rookies properly, and by executing punishment like long squats whenever they commit a mistake, his athletes obtain determination. He also requires cooperation from the greenhorns as he applies his coaching system to clinch victories. “Train hard, pray hard, practice hard,” he shared, saying his motivational statement for his athletes. Moreover, he disciplines his players by looking over their performance and how they demonstrate their eagerness in front of their master. He also searches for a player with good attitude and behavior, which sums up the qualities he finds in a rookie. Explaining how he hones the athletes, behavior and a sense of responsibility are the top things to practice to become a better taekwondo player. “Without discipline, all your hardships … [are for] nothing,” coach Ding said.